Gallagher continues to build out its UK trade credit and surety practice in Manchester, hiring Daniel Stewart as its new head of trade credit there. 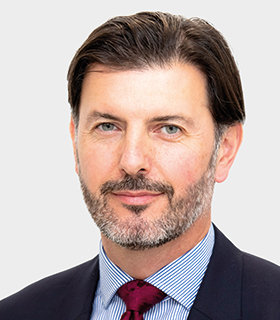 Stewart joins from rival brokerage firm Marsh, where he was national practice leader for trade credit, responsible for the Midlands, north and Scotland. He thus becomes the third Marsh leader that Gallagher has recently recruited to the team. In July, Gallagher hired Colin Cunningham, previously Marsh’s national sales leader for trade credit in the UK and Ireland, and Rachel Smailes, who was client advisor leader at the firm. Stewart leaves behind an almost 20-year career at Marsh, having been with the company since 1999. He previously held roles with Santander and Rabobank. At Gallagher, he will report to Tim Fisher, UK managing director of trade credit and surety. Apart from leading the Manchester trade credit and surety team, Stewart will work closely with Fisher to grow and develop the national practice across the north. According to Gallagher, the hires come “on the back of strong 20% organic revenue growth across the UK niche” and “a growing proportion of both clients and new business opportunities arising in the north”.